SDBW | Three B Zine Podcast! 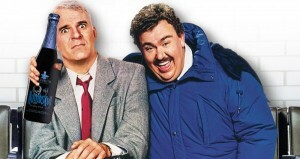 “Those Aren’t Pillows!” Movie and a Beer is Back W/ Planes, Trains and Automobiles & a Perfect Craft Beer Pairing! SAN DIEGO-BASED CRAFT BREWERIES CELEBRATE STRENGTH IN UNITY GREEN FLASH BREWING CO. ACQUIRES ALPINE BEER CO.
Three B Zine Podcast! Episode 42 – Worlds Biggest Bottle Share!